Health & Safety At Work have just hosted a roundtable debate on the adoption of technology for health and safety professionals. The discussion created an opportunity to really assess where health and safety might be in the next five years and the role health and safety management software will have on it. 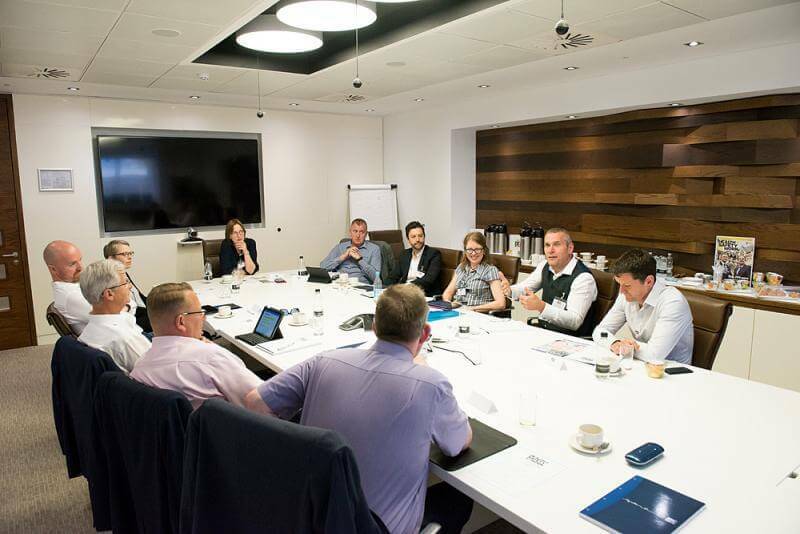 As a leading software provider in health and safety, our CEO, Darragh Geoghegan, along with other software representatives joined the roundtable to discuss the issues from the supply side of the sector. To represent the operational perspective, four health and safety managers were also in attendance. Two more experts in health and safety were on the roundtable to lend their voice to the debate. Among the health and safety managers, three showed that they have adopted in some shape or form to technology in health and safety. This new tech came in the form of entire software solutions, new apps being rolled out and the possibility of using virtual reality in training. The efficiency that these technologies are bringing to the workplace are quickly swaying health and safety managers in the forward direction of the future. There was a clear concern for the digital divide that exists between the over 40s and younger generation. Although there is an acknowledgement that it is indeed the way forward, we still have to take into account the worry form other generations that they might not be able for such a change. 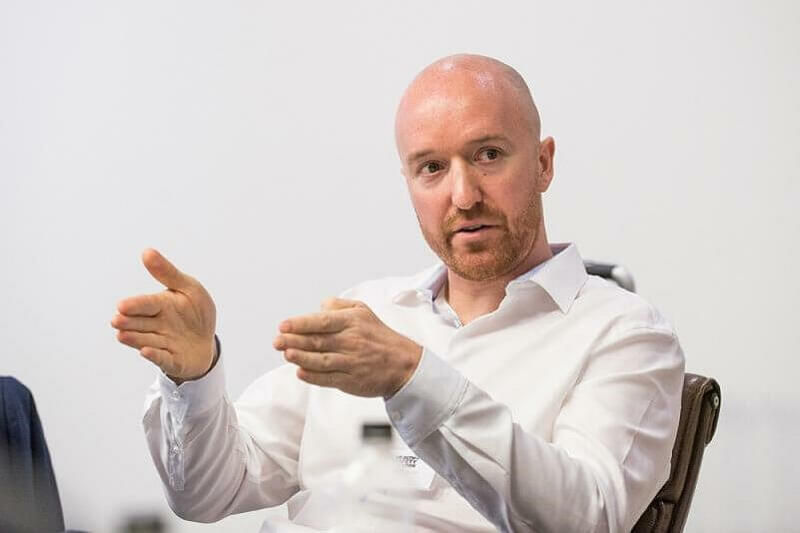 Darragh Geoghegan, our CEO at Effective Software made the point that health and safety was hardly leading from the front like other business functions, such as HR and Finance who aren't able to do their jobs without the right systems in place. Instead, he sees safety software at a very early phase of the adoption curve, lagging behind these other business functions. There is, however, a change in attitude towards the overall cost that companies must incur to attain the software. He is now seeing a much larger mindset placed on the value it brings rather than the cost. As to where we are on the adoption curve, I think we’re still in the early phases, because safety tends to lag a little behind other business functions. We’re not at the stage of HR or finance, where people won’t be able to do their jobs without having the right systems in place. But I think the shift were seeing now is that companies are realising it’s a value centre, not a cost centre - Darragh Geoghegan, Effective Software. The argument for this was backed up by Louise Ward from The British Safety Council, who point out the fact that the consequences are so much more greater in terms of the Sentencing Council guideline, so there really shouldn't be any difficulty or problem for health and safety professionals to make a case for safety software in their companies. There was clear passion for going mobile and placing health and safety directly in the hands of staff. Darragh raised the point that IT interfaces need to made more intuitive so that reporting on something like an observation or creating an incident report is as easy as updating your status on Facebook or Twitter. The tools need to be made simple and easy to create this kind of engagement. You can’t do that with a piece of paper that gets logged and thrown into a folder. People need social media for safety: something that they can connect with their peers on, that they're part of, that they can contribute to something better - Darragh Geoghegan, Effective Software. The clearest barrier to adoption was agreed to be finance with the majority agreeing that safety struggles to articulate how investment is important. Whilst health and safety professionals can see the benefit, the board can't. Solicitor, Crispin Kenyon, who is called upon to defend companies facing prosecution is in favour of anything that helps companies track procedures and permits, or catalogue accidents and near misses. However, on the other hand he threw caution to the wind with the view that a health and safety management system doesn't automatically provide a defence. Where will we be in five years' time? Everyone at the table looks forward to the day when technology continuously gives people the right information at the right time. Darragh emphasised that safety will always be a human-heavy activity and you can't just replace this with software. What we can do though is use software to allow us to drive forward excellence in health and safety at a reasonable cost. We still have to connect people and make sure they are doing the right thing for the right reasons. Take a look at the video Health & Safety At Work created for the event.